Alerts: What Do They Mean? Low Battery - The Lumin Screen may be unplugged and moved around the house. In case the tablet has low battery, you will receive an alert. Offline – When you receive this alert, it is possible the Lumin Screen does not have an adequate Internet connection or the device has been turned off. 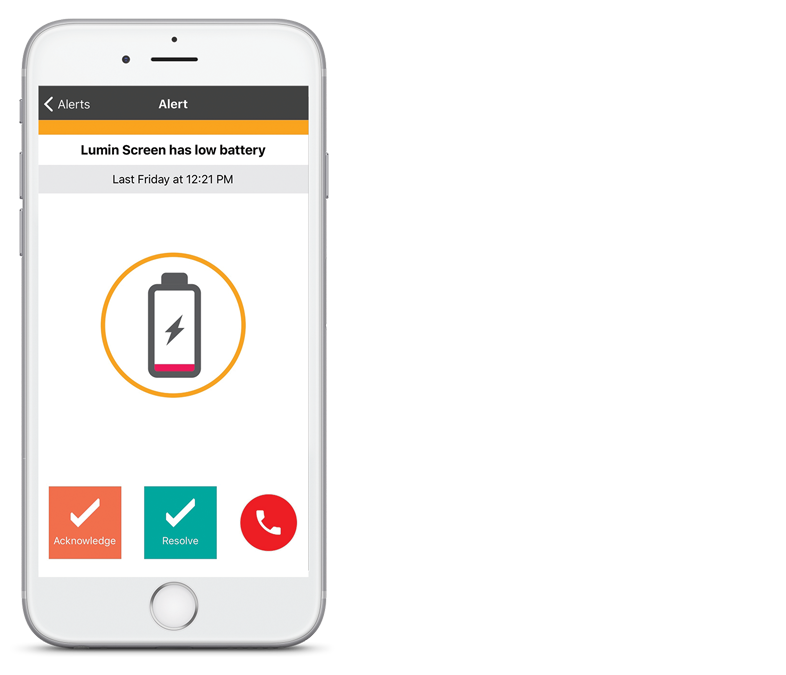 Reminder Alert – You will receive these alerts when a Lumin user fails to acknowledge his/her medication or general reminder. It will tell you exactly which reminder was not acknowledged. Help Button was pressed – The user pressed the red help button on the Lumin Screen. If there are any alerts raised, you will get notifications on your phone. You can also access active alerts by pressing the Alerts button in your Lumin Supporters' App.